It’s a good week for comic book fans. 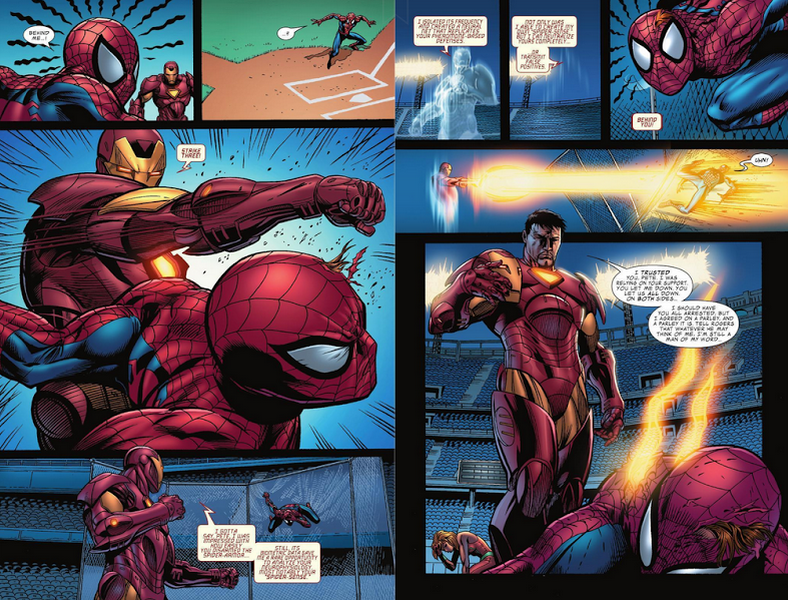 Yesterday, Marvel announced Spider-Man is joining its cinematic universe. 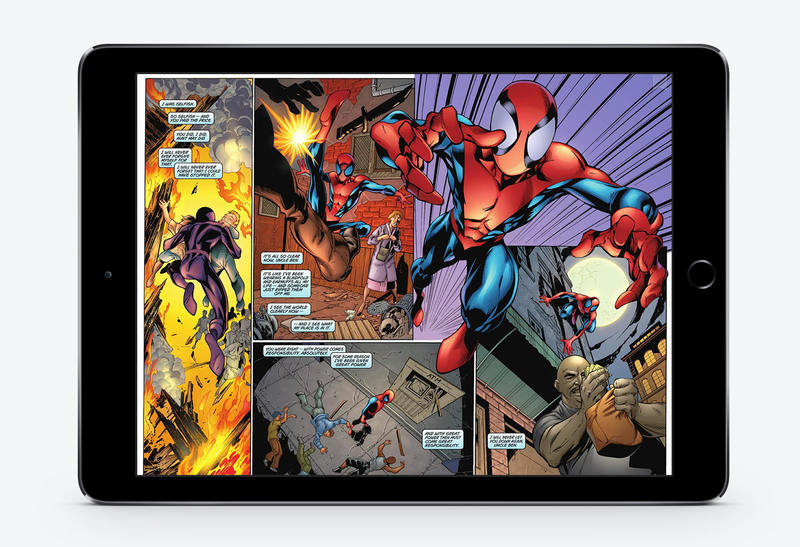 Today, Scribd has revealed that it’s adding unlimited comic book reading to its monthly subscription service. From today, the company’s $8.99 per month subscription will include unlimited access to more than 10,000 issues from Marvel, Archie, Boom! Studios, Dynamite, IDW/Top Shelf and Valiant. The new section with comics and graphic novels will feature alongside Scribd’s existing library of ebooks and audiobooks, bringing the service’s total collection to over one million items. With a significant archive of past titles to delve into, the new subscription is likely to be popular with fans who’ve been introduced to characters like the Guardians of the Galaxy on film and want to check out their back stories in print. You can browse comics by character, series and collection as well as searching for individual authors, artists and creators. Scribd has built individual pages to showcase the history and evolution of major characters and put together curated collections, such as Incredible Team-Ups, Classic Marvel Moments and Welcome to Riverdale. As well as comic book series, the new section features graphic novels including classics like ‘March’ and ‘From Hell’. And if you’re into manga, the company has inked a partnership with Media Do to bring titles from Cork and Harlequin Manga to the service. 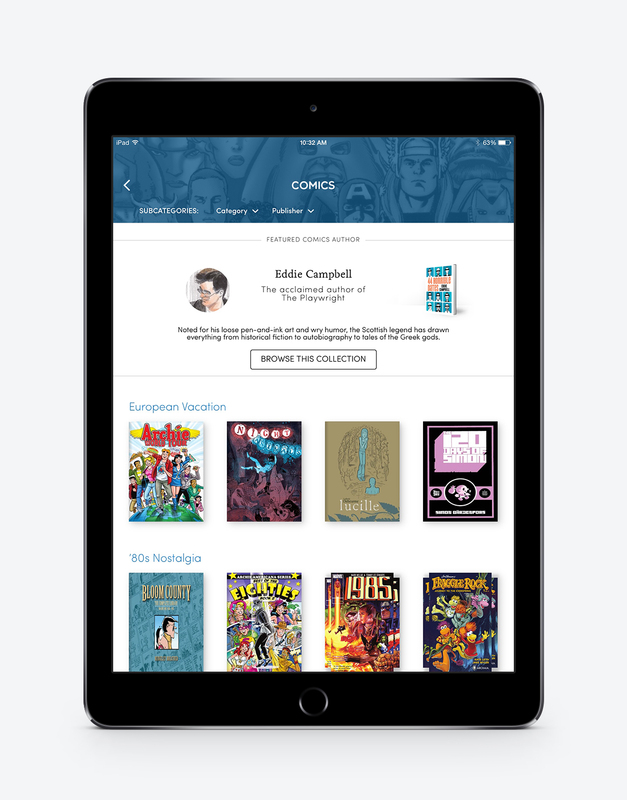 Haddon says Scribd has worked hard on file compression to make it easier to store more comics on your device locally – handy if you’re stocking up before a long flight. There’s also a button at the end of every issue, which Scribd calls ‘the binge button’, to encourage you to keep on reading. If you’re a major comics fan like me, it may be hard to tear yourself away. While there are plenty of options for reading comics on your phone or tablet, including Marvel’s own $9.99 a month Unlimited subscription service and Amazon’s Comixology, Scribd might just have the edge. By bringing together such a range of different comic book companies under a single subscription, alongside ebooks and audiobooks, it’s on track to become the ‘Netflix of reading’ that so many have promised but failed to deliver.